A commentary from Doug Harris on the New Orleans school reforms, why they are so revolutionary, and the implications of these reforms on a national scale. 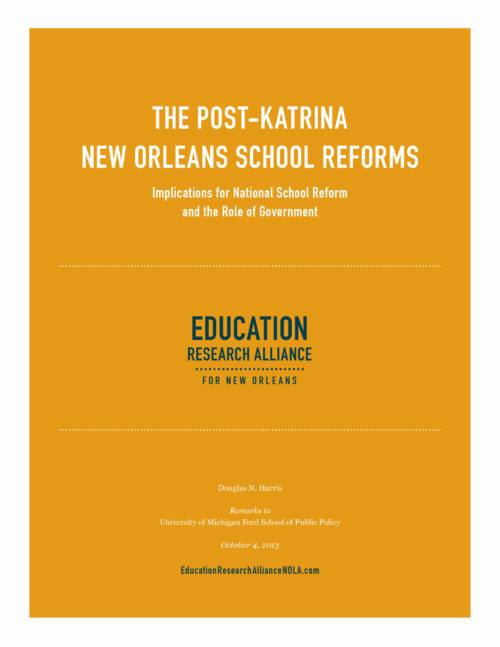 The Post-Katrina New Orleans school reforms are historically unprecedented in their rejection of the typical system of public education. In his remarks at the University of Michigan’s Ford School of Public Policy, Harris argues that not only are these reforms radical, but that they are relevant and significant, and that further evidence on the effects of these reforms really does matter, not just to New Orleans, but to the nation as a whole.